Marshy ground and muddy flats, especially disturbed areas with bare soil. 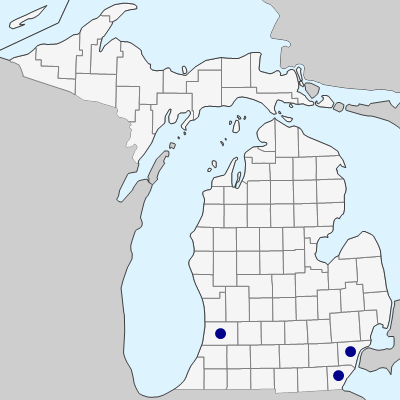 Except for a 1914 collection from Detroit (Wayne Co.), this species was not collected in Michigan before 1972. 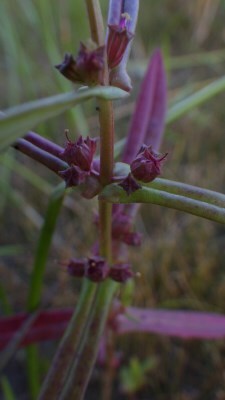 Plants of this species and of Rotala are often strongly flushed with red. Petals in both are quickly deciduous, but are a little larger and showier in Ammannia than in Rotala. MICHIGAN FLORA ONLINE. A. A. Reznicek, E. G. Voss, & B. S. Walters. February 2011. University of Michigan. Web. April 22, 2019. https://michiganflora.net/species.aspx?id=1658.